Come away to a different world. Join us on iROW’s next rowing tour adventure which takes us to Croatia, a Mediterranean country that bridges Central Europe and the Balkans. 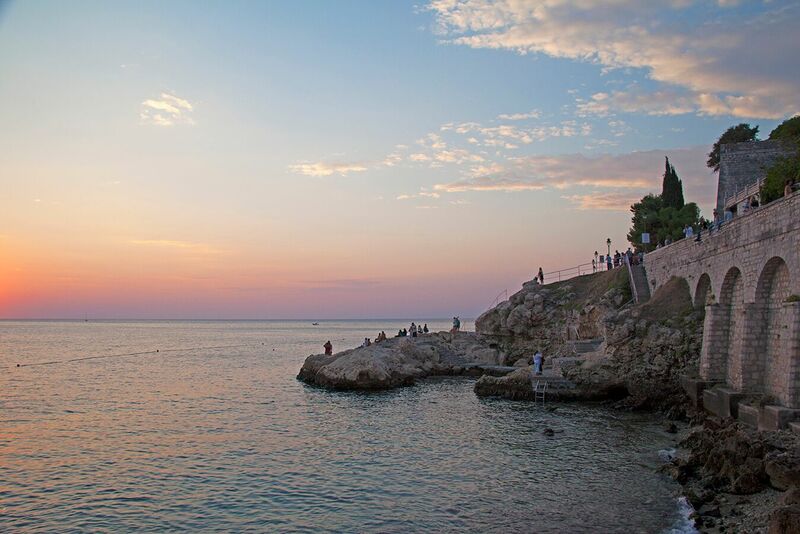 It is on the eastern side of the Adriatic Sea, across from Italy on the western side. It is bordered by Slovenia to the northwest, Hungary to the north, Bosnia and Herzegovina to the southeast, Serbia in the east, and Montenegro to the south. 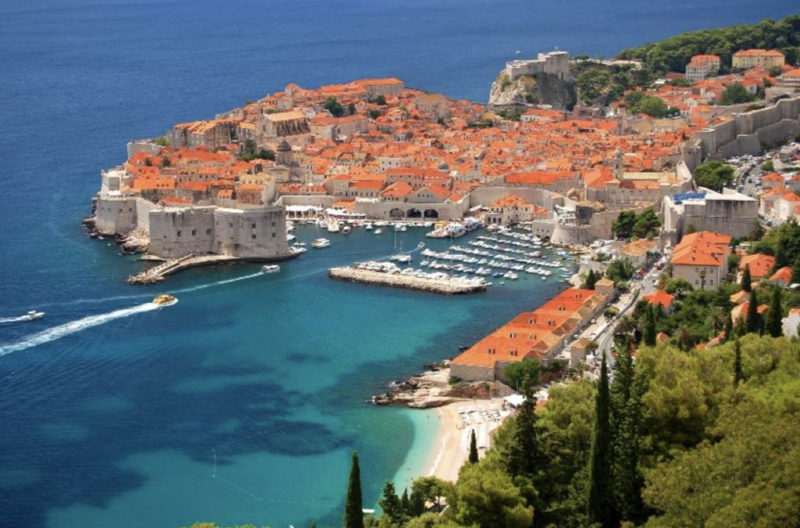 The main stops of this 11 day tour are Bled, Rovinj, Zadar, Split and Dubrovnik. We will spend 2 nights in each location and have rowing outings outing planned daily for each location with exception of Dubrovnik, where we’ll use the extra time to explore the city. Our journey will begin at Lake Bled, Slovenia. A scenic 2 hour drive from the Croatian border, we couldn’t miss the opportunity to row at this majestic, elite class rowing destination that has hosted numerous World Rowing Championships and other international regattas through the years. Our next destination is Rovinj, Croatia. 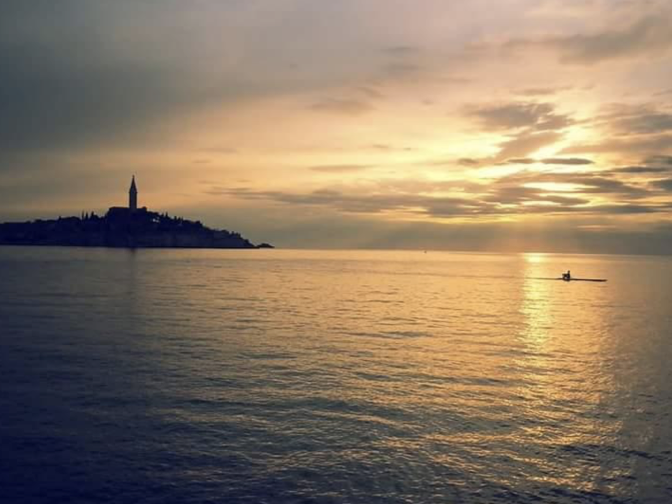 Like the rest of the Croatian coast, Rovinj was part of the Venetian Empire for centuries. And Istria remained part of Italy until after WWII. That’s why this region is enthusiastically bi-lingual and an engaging mix of Croatia and Italy. While in Rovinj we can take advantage of the regular ferries travelling between coasts and enjoy a guided day trip of Venice, Italy. 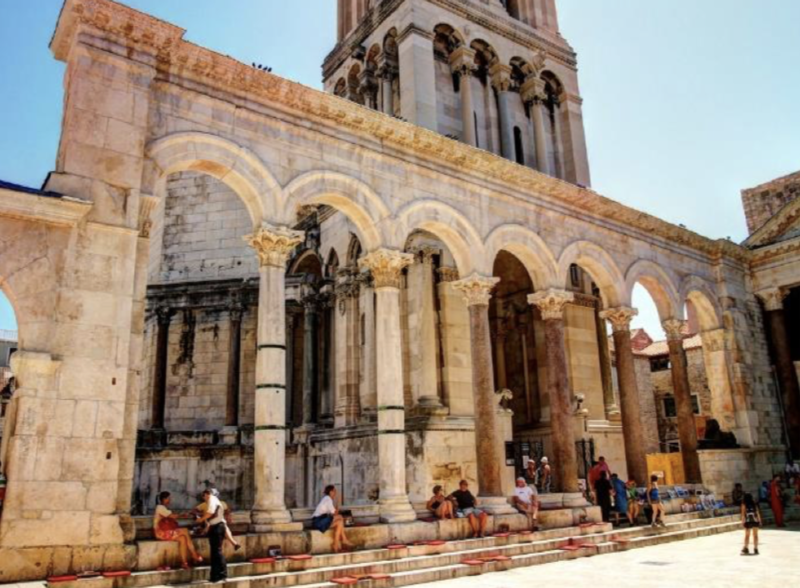 Our next stop Zadar is an intriguing city, boasting a historic old town of Roman ruins, medieval churches, cosmopolitan cafes and quality museums set on a small peninsula. It’s not too crowded, it’s not overrun with tourists and its two unique attractions – the sound-and-light spectacle of the Sea Organ and the Sun Salutation – need to be seen and heard to be believed. Split, a town on Croatia’s Dalmatian Coast, is known for its beaches and the fortress like complex at its center, Diocletian’s Palace, erected by the Roman emperor in the 4th century. Once home to thousands, its sprawling remains include more than 200 buildings. Within its white stone walls and under its courtyards and galleries are shops, bars, cafes, cathedrals, hotels and several houses. And finally, we’ll end our tour in the Dubrovnik, described by George Bernard Shaw as “the pearl of the Adriatic” and enchanted by this beautiful city he also said “those who seek paradise on Earth should come to Dubrovnik”. It really is a stunning city with an amazing Old Town, which became a UNESCO World Heritage site in 1979. This once in a life time experience is priced at $6,995 ($6,495 for iROW clients). In other words, the trip is priced to include all costs while you are on the tour (with exception of any personal items you may want to purchase). The only thing you need is your plane ticket and travel insurance. The capacity is for 6-12 people and your non rowing friends are welcome to join us. We must have 6 people signed up by Jan 1, 2018 in order to proceed with the trip. To sign up, please send a $1,500 non-refundable security deposit. This reserves your spot in the tour. The remaining amount is due on March 1, 2018. Forms of payment accepted: checks and credit cards (for credit cards please add a 3.5% surcharge). For questions, please contact Iva at iva@larowingcoach.com or 310.895.5506. See you in Croatia & Slovenia!